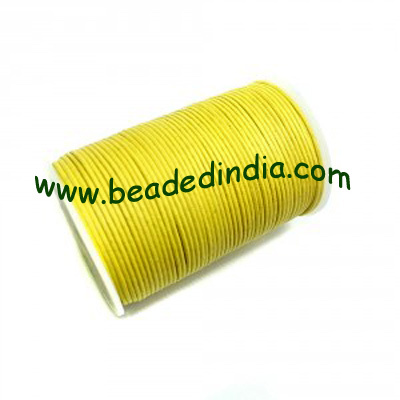 2.0mm (two mm) high quality round cotton wax cords, color as per picture, pack of 100 meter spool. Silver Plated Fancy Beads, size: 15x14mm, weight: 3.1 grams. Gold Plated Metal Chain, size: 1.5x7.5mm, approx 12.1 meters in a Kg. Horn Beads, size : 15x16mm, weight 3.06 grams, pack of 50 pcs. Fresh Water Pearl for Rings, flat back, weight approx 1.85 grams, size 8x12mm. Leather Cords 5.0mm flat, regular color - tan brown.